A new smart ear temperature gauge has been created called Tympani that is capable of connecting directly to your smartphone and taking infrared temperature readings in less than two seconds. The Tympani ear temperature gauge requires no batteries and slots neatly into the headphone jack on your smartphone device and use a companions application to record readings. Tympani Supports both iOS and Android devices and is capable of taking temperature readings from people of any age. 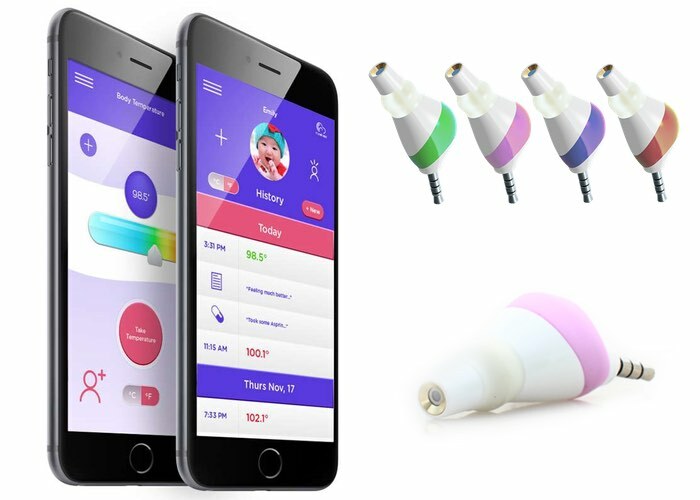 The $25 smart ear thermometer will soon be launching over on the Indiegogo crowdfunding website, but is also now available to preorder via the developers official website. For more information on the new Tympani smart ear thermometer jump over to the official website for details via the link below.